Graduated from The Chinese University of Hong Kong and achieved PhD in management 2008. 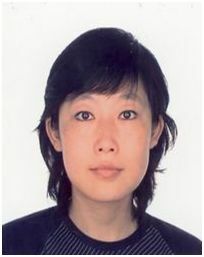 Post-doctoral research fellow at City University of HK and The Chinese University of HK during 2008 to 2011. Teaching at Xian Medical University, department of management. Assistant researcher at China Youth and Children Research Union. Three years working experience in IT industry before studying in HK. Li, Y., Ashkanasy, N., & Ahlstrom, D. 2010. Complexity Theory and Affect Structure: A Dynamic Approach Modeling Emotional Changes in Organizations. In N. Ashkanasy, W. Zerbe, & C. Härtel (edited), Research on Emotion in Organizations, Vo.6 pp.139-165. Li, Y. (2011). Emotions and New Venture Judgment in China. Asia Pacific Journal of Management，28(2)：277-298. Li, Y., Chun, H., Ashkanasy, N., & Ahlstrom, D. 2012. A Multi-level Study of Emergent Group Leadership: Effects of Emotional Stability and Group Conflict. Asia Pacific Journal of Management, 29(2)：351-366. Li, Y. (2005). Construct of Emotional Stability and its Moderating Effects between Proximal Organizational Conflicts and Individual Outcomes. Annual Meeting of the Academy of Management, Hawaii, USA. Li, Y., & Hui, C. (2006). Multi-level model of emotional stability on emergent leadership. Asia Academy of Management Meeting Annual Meeting of the Academy of Management, Atlanta, USA. Li, Y. (2006). Emotion Blends Elicited by Hurt and a Holistic Understanding Integrating Appraisal, Culture and Stereotypical Pair Gender Effect. Asia-Pacific Symposium on Emotion and Work life, Melbourne, Australia. Li, Y. (2006). Similarity and Diversity: How Innovative Organizational Climate Influences Group Performance. Asia Academy of Management Meeting in Tokyo, Japan. Li, Y., & Ahlstrom, D. (2007). Decomposing the Effects of Positive Affect Negative Affect and Multilevel Drama of Emotion on Organizational Commitment. Asia Academy of Management Meeting in Annual Meeting of the Academy of Management, Philadelphia, USA. Li, Y. (2008). Risk Taking in the Gain Domain: A Predictive Model of New Venture Creation. Academy of Management Annual Meeting, Anaheim, US. Li, Y., Hui, C., Ahlstrom, D. (2008). Construct of Emotional Stability: A New Approach Beyond Big Five Thinking. Academy of Management Annual Meeting, Anaheim, US. Li, Y. (2008). Emotional Rationality of Decision Making under Uncertainty. Academy of Management Annual Meeting, Anaheim, US. Li, Y., Qian, G.M., Ahlstrom, D. (2008) An Unusual Internationalizing Process of Chinese Emerging Firms: a Perspective of Decision Making. Asia Academy of Management Meeting, Taipei. Li, Y. (2009). An Experimental Study of Risk Adaption and Emotion Differentiation in Dynamic Decision-making. Academy of Management Annual Meeting, Chicago, US. Li, Y. (2009) Risk Taking in the Gain Domain: New Venture Creation. Academy of Management Annual Meeting, Chicago, US. Li, Y. (2010). Complexity theory and Affect structure: A Dynamic Approach Modeling Emotional Changes in Organizations. Academy of Management Annual Meeting, Montreal, Canada.